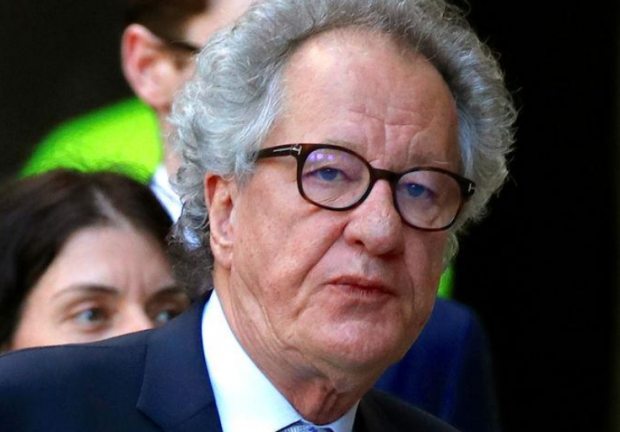 A female star of hit television show Orange is the New Black levelled misconduct allegations against actor Geoffrey Rush, the second Australian actress to accuse the Oscar winner of behaving inappropriately during an Australian theatre production. In a New York Times article entitled "The Cost of Telling a #MeToo Story In Australia", actress Yael Stone said the Pirates of the Caribbean actor danced "totally naked" in front of her in their dressing room in a "playful, clownish manner" and used a mirror to watch her showering during a Sydney production of The Diary of A Madman in 2010 and 2011. "I believe that it was meant with a playful intention, but the effect was that I felt there was nowhere for me to feel safe and unobserved," the New York Times quoted Stone as saying of the shower allegation. Stone was 25 at the time, the article added. Rush's lawyer was not immediately available for comment. The New York Times ran a statement from Rush which said Stone's allegations were "incorrect and in some instances have been taken completely out of context". "I sincerely and deeply regret if I have caused her any distress," Rush said in the statement. "This, most certainly, has never been my intention. When we performed in The Diary Of A Madman eight years ago, I believe we engaged in a journey as artistic comrades." Stone's agent in Australia, Lisa Mann Creative Management, told Reuters the actor declined to comment further and she stood by her public statements. The actress gave a television interview to the Australian Broadcasting Corp., to air on Monday evening. In previews of the interview, Stone said, "I immediately put myself at the bottom of the ladder. I didn't advocate for myself." The allegations coincide with a defamation lawsuit Rush has filed against News Corp's Australian arm over articles it published after another actress allegedly filed an internal complaint about his actions during a production of King Lear in 2015 and 2016. Media commentators and academics argue Australia's tough defamation laws make it difficult for people in the country to speak out about allegations of sexual misconduct by public figures in the same way they have in other jurisdictions.